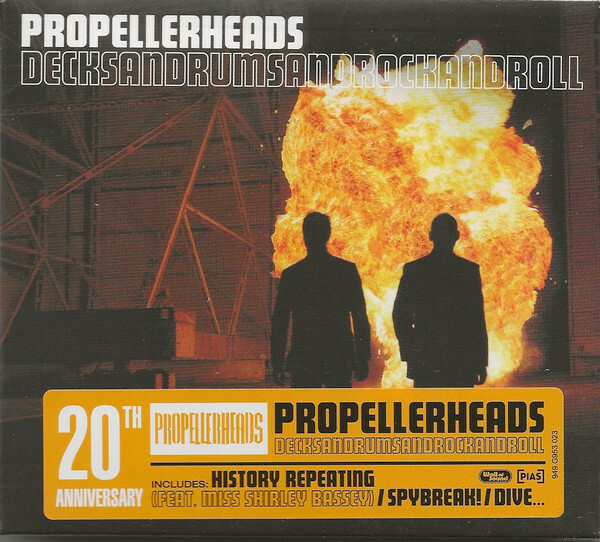 Propellerheads were a British big beat musical ensemble, formed in 1995 and made up of electronic producers Will White and Alex Gifford. The term propellerhead is slang for a nerd, and when Gifford and White heard a friend from California use this in a conversation, they thought it would be the perfect name for their band. Their first release was an EP named Dive!, released in 1996 through the independent label Wall of Sound. They gained fame the next year by providing a remix for James Bond movie composer David Arnold's Bond tribute album Shaken & Stirred: The David Arnold James Bond Project covering John Barry's "On Her Majesty's Secret Service", the theme song to the sixth James Bond film, re-orchestrated by Arnold. They also collaborated with Arnold on the track "Backseat Driver" for the soundtrack of the Bond film Tomorrow Never Dies. The single "History Repeating" followed, a collaboration with Shirley Bassey (also well known for her James Bond music), fusing big beat with jazz. "History Repeating" was used as the theme for So Graham Norton and was also featured in the Farrelly Brothers' film There's Something About Mary. 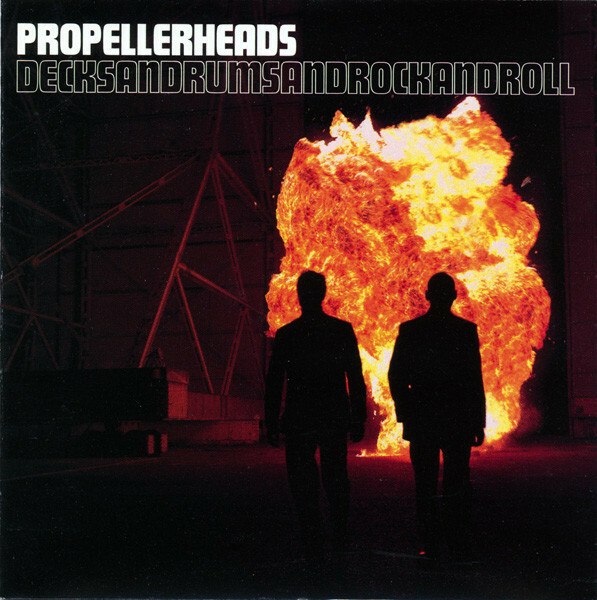 The Propellerheads album Decksandrumsandrockandroll was released in 1998 by Wall of Sound in Europe and DreamWorks in the US and Japan. The DreamWorks versions include collaborations with hip hop artists De La Soul and Jungle Brothers, and the Japanese version is a two disc special edition including some of their earlier singles. A track from the album, "Spybreak! ", became widely known after its use in the lobby scene in the classic 1999 feature film The Matrix. They are also noted for providing "Crash" (a big-beat cover version of Brass Incorporated's "At the Sign of the Swinging Cymbal", perhaps best known as the theme song of BBC Radio 1's Pick of the Pops) as the theme tune to Radio 1's 'Official Chart Show' between 1998 and 2002, when Mark Goodier was the host. This song was also used in the 1999 hit comedy film Austin Powers: The Spy Who Shagged Me. After touring for their hit album, White fell ill. They released Extended Play EP in 1998, and in the song "Props' Vote of Gratitude", Alex Gifford raps for the first time, explaining to the attentive listener that the band would "be back after this short break". Gifford moved to New York and produced the Jungle Brothers' 1999 album V.I.P. in which he raps with The Black Eyed Peas among others. White provided the drums for the eponymous track. He has also produced "Shadows", a track for Rufus Wainwright on his 2001 album Poses. White has since released a mix compilation for the Beatz and Bobz series, and he has also appeared as a member of the De-Fex music project. In November 1998 the song "Bang On!" was included in the Nintendo 64 video game Wipeout 64. Earlier that same year, the same song was also featured on the soundtrack for the Lost in Space soundtrack. Another song "Lethal Cut" was featured in the PlayStation game Wipeout 3, while "Big Dog" was featured in the background music of the PAL version of Gran Turismo 2. Last edited by lampard.serg on 27 Mar 2017, 13:02, edited 1 time in total. After touring for their hit album, White fell ill.